Fierce controversies have erupted surrounding Winter Olympics politics with regard to North Korea’s participation, and President Moon Jae-In of South Korea has been dealt a blow in the public opinion polls. A new Seoul-based PR firm called Realmeter released polling data on Jan. 25, indicating the president’s approval ratings have reached the lowest since his inauguration. The Realmeter poll shows that Moon’s approval is at 59.9 percent, dropping 6.2 percentage points from a week earlier. This is the first time his approval rating has gone below 60 percent. Corresponding to the approval ratings is his disapproval ratings. 35.6 percent registered as disapproval, an increase of 6.3 points from a week earlier. The main reason for the changes has been President Moon’s unconditional embrace of North Korea’s participation in the upcoming Winter Olympics, especially his decision to allow North Korea to form a joint “Korea” women’s ice hockey team with the South. Also controversial is Moon’s high level reception of North Korea’s propaganda team masqueraded as performers and entertainers. 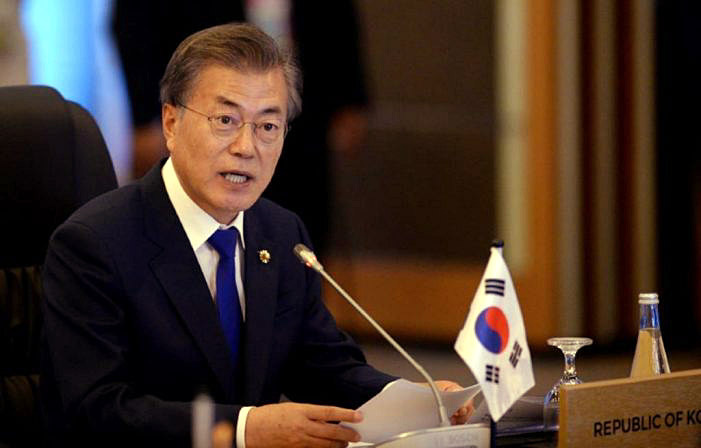 Moon has been accused of being obsequious to the Pyongyang regime at the expense of South Korea’s sovereignty and dignity, let alone the vital alliance with the United States and Japan.